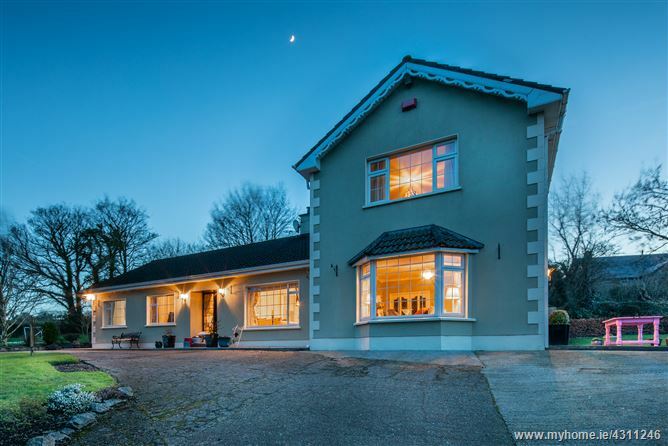 Set on just over 0.5 acres there is plenty on offer here at Doneen. You have an outside concrete shed with power, a patio area for the evening sun, playing area for kids as well as a large driveway for ample parking. Inside the home is decorated well and quality materials were used throughout. There are also 2 living spaces and as this was originally a cottage which was then converted, the property is ideal for a large family where the older siblings need some space!. That said, this is a perfect home for any size family and caters for all as 4 of the bedrooms are situated in the cottage wing. A number of rooms could easily be converted to an office, playroom or gym.